I’ve recently been reintroduced to the amazing world of essential oils. So far I’ve made up a roller to use on cuts and scrapes, created an aloe gel with lavender for sunburns, and made room sprays. The possibilities are endless and I’m so excited about making things that work and that I know every ingredient inside them. I didn’t use essential oils for years because I remember someone telling me that you have to be careful how you use them or they could be dangerous. I threw away my expired stock and forgot about them for several years. After recently rediscovering some sprays made by my friend, Rachel Ginther, at Garden of One, I decided I’d like to try again. I remembered a friend sold essential oils, so I talked to her first. She assured me that the oils she sells are 100% pure and perhaps the only oils on the market that were guaranteed safe. So safe that I could ingest them and apply them on my son without worry. I could put most of them directly on my skin without dilution. I bought my starter kit and was anxiously waiting for them to arrive so I could get started. I didn’t know what I was going to do with them exactly, but it was going to be good. As I was waiting for them to arrive I started to do some research and I’ve been researching ever since. It’s going to take me some time to share that research with you, as I’m still working on it, but there are some things I can share right now. That I need to share now because there is so much misinformation out there and I know I can help to change that. Others will come in time and I hope you will follow me along in this journey to truth about the safety and the amazing power of using essential oils for spiritual, mental, and physical well being . Go to an aromatherapist and get suggestions to make an informed decision for any of the above. They don’t tell me the botanical name of the oil. This is important since different varieties of a particular plant have different chemical properties. They may smell somewhat similar, but their uses can vary based on variety, country of origin, distillation method, etc… Did you know that there are over 20 varieties of lavender? Some types may be unsafe when used on a person with certain medical conditions. I have no idea what type of lavender is in the bottle I bought from Young Living (an MLM). I’ve been told (by several reps) that I can safely ingest Young Living Oils because they are pure therapeutic grade oils. Here’s the thing. There is no such thing as therapeutic grade. There is no official grading system at all. It is a marketing term used to give the buyer a sense of safety. Here’s the other thing. It doesn’t matter how pure an oil is, it is not safe to ingest without the guidance of a professional. Period. Just today I heard from a friend that her good friend is in need of surgery because she was told by an MLM rep that it was safe to ingest 20 drops of cinnamon and 5 drops of lemon on a daily basis. That’s nearly 1 ml/day ingested! Ingestion is a wonderful sales tool because the more you use, the more the company sells. I’ve been told that Young Living oils are safe to use neat on the skin (directly without dilution). Again, YL oils are not any more or less safe than other pure essential oils. Neat application may be safe for some oils in some instances on some people, but from what I’ve learned about sensitization I wouldn’t do it unless I had a a clinical aromatherapist give me a darn good reason to. Sensitization happens when you are overexposed to an oil (or any substance for that matter) to the point that you can develop an allergic reaction. I’ve heard testimonies of people that have developed a sensitization to lavender or mint and can no longer be anywhere near these fragrances. Imagine going to the grocery store and not being able to walk through the cosmetic section or the candy isle because you run the risk of going into anaphylactic shock? Yes, it can happen. In almost all cases, oils should be diluted in a safe carrier before being applied to the skin in a dilution percentage appropriate to age and general health of the person using it (usually .25% to 3% based on several factors). They guarantee that their oils have been tested for safety, but Young Living and dōTERRA will not release the results of those tests. Okay, that’s not right. That’s like going to the doctor and when you ask to see their degree (typically hanging on the wall in a legitimate doctor’s office), they say that you’re just going to have to believe them and they know what they’re doing. They swear they’ve passed the medical boards, what more do you want? I’ve been told by several Young Living Reps to use peppermint oil on my young child. One said I should probably dilute, but without a clear definition of safe dilution percentages. Turns out that there is a chemical in peppermint (menthol) and eucalyptus (1,8-cineol aka Eucalyptol), that can slow or stop breathing in young children. The percentage of that happening may be small, but it can also be lethal. For the same reason that I did not give honey to my child until after he was two, I would not want to experiment with peppermint and take that risk. MLM sales reps are SALES REPS, they are not (unless trained as one) certified aromatherapists. They may have stories about how essential oils have helped them, their friends and their families, but they don’t have facts or safety information, or information about long-term side effects beyond what they have learned from the company they sell for. I want to be clear for a moment. The majority of MLM reps are well-intentioned people, passionate about essential oils, and have a desire to help others discover the myriad of uses of essential oils. They do not intentionally seek to harm people that buy from them. The woman I bought from sells at wholesale prices to her customers because she just wants to help. She makes money on starter kits and commission from her downline, but not from sales directly to her customers (except maybe a small percent sometimes). The thing is that companies like Young Living and dōTERRA are master marketers. They produce beautiful packaging and pamphlets, write books, and have well-maintained websites. They have conferences and seminars and team meetings. These MLM reps trust the company that they have invested time and money in and have advised others to do the same. It’s a tough leap to think that these companies (intentionally) and friends (unintentionally) may be giving out false information in order to make money. Yet that is exactly what is happening. I realized all of these things because I did research beyond the gorgeous pamphlets included with my starter kit. I went online searching for answers and seeking the truth. I’d like to help everyone interested in safely using essential oils to do the same. I’ve spent nearly two months researching so far, and I’m going to try and save you some time by listing some resources here. As I said, I’m still researching and I’ll be sharing more, but for now I know that there is such a desperate need for true information about the safe use of essential oils, that I just couldn’t wait another minute to share something with all of you. For starters, the number one essential oil safety expert is Robert Tisserand. He is referenced again and again by people promoting the safe use of essential oils. He has a website, Facebook page, and recently released the second edition of his book, Essential Oil Safety: A Guide for Health Care Professionals. He has done extensive research and has graciously shared this information with the world. The Atlantic Institute of Aromatherapy, run by Sylla Sheppard-Hanger, has a project to collect reports of injury as the result of using essential oils. If you’ve ever been harmed in any way using essential oils (headache, burned skin, itchy skin, damage to esophagus, stomach aches, psychotic reaction, etc…), please file a report so that we can begin to get some real data confirming the need for safe usage of essential oils. While you’re there, be sure to read the first report released that lists a year’s worth of injury reports. Safe Essential Oil Recipes Only! Take a look at the pictures. If they are all pictures of Young Living or dōTERRA (MLMs) essential oils then chances are there is not an aromatherapist at the helm. Read the posts. If they talk about ingesting oils in water (oil and water don’t mix, so this is the equivelant of placing undiluted on your tongue, down your espohogas and into your stomach), they are likely an MLM rep. If they use the names of blends without giving a recipe for them, they are likely an MLM rep.
Use common sense. If something doesn’t seem right, run away. There are plenty of good resources out there that are looking out for your safety. Even with these guidelines, it can still be tough to find reliable sources of information. There is one website in particular called Aromatic Science that would have you believe that it is science-based information about essential oils. It’s in fact owned by dōTERRA with the primary goal of selling more oils. It looks legit, however, it is a sales tool. Google it if you want, but I don’t even want to include a link because I don’t want to spread the misinformation. An alternative to making your own blends is to have a trained aromatherapist mix things up for you, which takes out the guesswork altogether. Local to me is Mindy MacLaren of Sweet & Woodsy Aromatherapy. She has been a tremendous resource to me as I conduct my essential oil research. She’s active in many of the aromatherapy groups I mention above and is intensely interested in sharing safe information about essential oils. I’m planning to attend her aroma group starting up in the fall to learn even more. She offers 1:1 consultations and also creates, packages, and sells many products through her website and at local markets. If you want to learn even more about essential oils (like I do) then there are several sources for good information available. Perhaps you’d like to become an aromatherapist! If you’re lucky enough then there may be an aromatherapy school in your area. Check out the Alliance of International Aromatherapists (AIA) and National Association for Holistic Aromatherapy (NAHA) websites for a list of schools that they recommend. If there’s no school in your area, then there are online classes as well. Aromahead Institute is one such school. The instructor, Andrea Butje, is well respected in the aromatherapy community. They offer a free Introduction to Essential Oils class that will give you a basic intro and let you know if it fits your learning style. They also periodically offer free webinars and send tips straight to your email inbox. That’s a lot of info to get you started, and believe me, it’s only a start. I’m excited to be sharing what I find out as I explore the wonderful, and sometimes mysterious, world of essential oils. Be sure to sign up for email updates from Marvy Moms so you don’t miss a thing. P.S. I realize that this article tells a lot about how not to use or buy oils. Several resources are listed to help you to learn more about the safe way to do things to help you get started. And, I promise I am working on bringing more information to you, including a comprehensive guide to buying essential oils from non-MLM companies. Stay tuned! I’m curious, where did you get this information? Would love to see you site your references. Gabrielle, I’ve listed several resources. I’m hoping this article will prompt people to take a closer look at how they are using essential oils and get their own answers. Please join the groups I’ve listed and like the pages on Facebook where you can ask any question you like and likely get answers from trained aromatherapists. I am not an aromatherapist, just a mom trying to figure it all out and sharing what I’m learning along the way. If there is something specific you would like a reference for, please ask and I will do my best to get you more information. You are completely right!! I am a rep for a MLM and a group of us are trying to turn the boat around when it comes to suggested use and no push over usage as it can be very dangerous!!! We are encouraging our sales directory to correct usage and dosage suggestions and to remove “neat” where it doesn’t belong. Ingestion is a personal choice and consultation with a license professional should always be sought after. My company lists all the ingredients to include botanical name, cautions, servings, and the website has all the Certifications- MSDS sheets along with even more information on usage. I thank you for this post and for our recent email exchange. There are great consultants out there that heed these warnings and that aren’t out there for profit but out there to help other’s seek an all natural alternative. Many do not know that any type of 100% claim is purely a marketing tactic and not based on any regulatory guidelines other than the integrity of the company. There is an Essential Oil battle going on and some reps will use any tactic they can post to one up the other guy. I want everyone to experience the power of essential oils safely even if it means no sale. I speak from the heart and I’m not a paycheck player in this essential oil business. Jennifer, I’m glad to hear that you are working with your company to try to make a change, please let me know how that goes. Everything in life is a personal choice, but even using language like “personal choice” in regards to ingestion is dangerous. Terms like “servings” are dangerous. An essential oil company should be making no recommended “serving” size for ingestion. That information should come from an aromatherapist trained and experienced in ingestion. An inherent problem with essential oils MLMs, in general, is that even a well-intentioned sales rep cannot replace the guidance of an aromatherapist. The problem is not the customer that’s seeking to learn, reading books, joining forums, and taking classes beyond the company selling the oils to them. The problem lies with the thousands of people buying oils that think it’s no different that buying cosmetics. That don’t understand the power or potency of the essential oils they buy. They buy them for a solution to a problem or a cure and think that because something worked for someone (sales rep, or anyone else) then it will work for them too. I hear more stories all the time about injuries from essential oils. These are occurring mainly from neat use and ingestion because “my upline” or “my sales rep” said it was okay to do. These sales reps are getting this information first from MLM companies putting “serving” information on the bottle or on their website. I have yet to find a single non-MLM essential oil company making such recommendations or claims. You do seem to have a passion about essential oils and helping others. Go ahead and try to turn your company around (I hope they do), however the inherent flaw mentioned above will still be there (sales reps are not aromatherapists). So many people say they aren’t in it for the money. Take the commissions out of the equation though and see what’s left. Keep learning as much as you can from sources other than your company, get certified as an aromatherapist (I just started training at Aromahead), these are the ways that you can help spread your passion for essential oils. Find non-MLM sources for oils that promote safe use and are interested in educating customers and tell your friends about them. This is what it looks like when you’re truly not interested in the money. There are plenty of ways to make money in the world of essential oils and aromatherapy (lotions, sprays, salves, consulting, teaching, etc…). I’m a big believer in “find something you love to do and the money will follow.” I too considered joining an MLM when I first began because it seemed like the only way to fund my newest fascination. 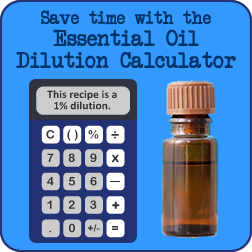 When I started researching I realized that even if it meant never buying a single bottle of essential oil, it was not the path I wanted to take. I’m so glad I took a different road so that I didn’t potentially injure anyone with my “advice” and that I’m open to learning more every day. I wish you luck in your journey. Thank you for posting this, I have been researching the safety guidelines of using essential oils myself, recently everyone seems to think it is ok to ingest them. I have used them for many years, for many things, but never thought that was a safe option. Some of your info about Doterra is wrong. I’ve seen the testing reports as well as allergy testing done on people which showed 99% had no reaction. Jenn, I don’t know what “testing reports” you’re seeing where. Last I checked, they do not publish GC/MS or other testing results even though they claim to have them. Any brand of essential oil can cause an allergic reaction. The chemical composition of the oils do not care what brand they are. Please reference the injury report linked to above for all types of reactions people have had from essential oils. In fact, most of the issues have been as a result of a sales rep advising unsafe usage. Please keep researching to find info about how to safely use essential oils. Happy to do it, Retha! Please share in your Plant Therapy community. Such a well-written and accurate blog post, Emily. 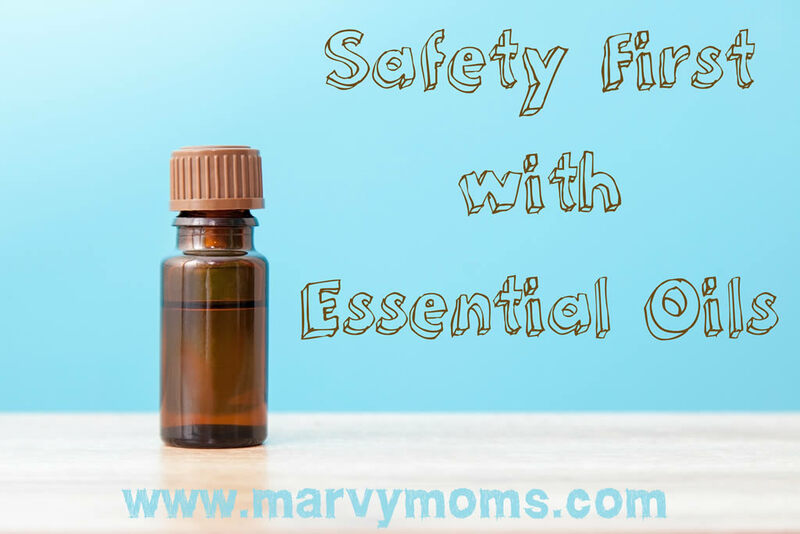 It’s so important to get the word out about how to use essential oils within the safety guidelines, and to address some of the marketing misinformation. Well done! So great! Thank you for posting this – I know from experience what takes us a few minutes to read represents weeks or months of research. Well done! This is a fantastic and informative post. Will be sharing on our FB page to our followers! Thank you! I have been a part of one of the above mentioned MLM’s for the past two years and I just recently dropped out. Everything you’ve said about their marketing pitches are true. You’ve got moms, who really have no training, telling others how to cure ailments with oils. Then you have some ladies who only do it for the commission and they fight over territories and forget that the purpose of selling is to help others. I got so fed up with it, I wanted out. I don’t like the idea of funding someone else’s paycheck, if I don’t agree to the way they are marketing. Honestly, in the two years I’ve used them, I haven’t had any earth shattering results. I sure have spent a ton of money though! I think the oils are useful on a small scale, but there is too much margin for over use and especially when you have sales people on pinterest and facebook saying it’s ok to ingest 20 and 30 drops daily. I really don’t want any part of that! Thanks for sharing your experience, Debbie. Safety is my number one priority when using essential oils. It can be intimidating because there is so much to learn. There are some great resources out there about how to use them safely, and if you keep looking you will start to easily differentiate between safe use versus overuse and dangerous use. I’m hoping this series of articles will help people to focus on safety and find alternatives both for where to look for true safe usage information, and where to buy quality essential oils. Don’t throw out your oils quite yet. If you haven’t done so already, join some of the groups I mention in this article and hopefully you can still get some good (and safe) use out of them. Wonderful. Factual. Very helpful. Thanks for sharing your experience. http://www.amazon.com/The-Healing-Intelligence-Essential-Oils/dp/1594774250 is a great source for Learning about Ingestion of Essential Oils. The Healing Intelligence Essential oils. That is an often recommended aromatherapy book, Jennifer, although I can’t comment too much on it since I haven’t personally read it yet. Reading as much as you can about essential oils is great. I will repeat the caution however, of seeking the guidance of an aromatherapist trained (400+ hours of training) and experienced in ingestion. Ingestion is rarely necessary and should be reserved for short term use for acute conditions. Kurt Schnaubelt is one of those people with lots of experience with ingestion, however, he seems to have a higher tolerance for level of frequency and use of ingestion than I, or many aromatherapists, are comfortable with. Ahhhhh, Emily! Thank you so much for all of the research and postings you have done! I did the same exact thing you did when you started. I ordered a kit and feel completely overwhelmed with minimal help. I feel like I am in pretty deep with this MLM right now, but will claw my way out asap. Did you still use your initial kit? I am hoping this huge investment wasn’t a huge waste of money – I am trusting that I have gotten pretty decent quality oils, but will do more research when it comes to proper use. I am worried about diffusing now with my littles – are there certain oils that shouldn’t be diffused around little ones (ages 3-9)? Thank you again for everything! Jess, I actually do still have my starter kit, but not because I wanted to keep it. I actually sent it back (you have 90 days to return to YL). I ended up having to file a claim with PayPal because it took them soooo long to refund my money. They finally refunded my money and then another kit mysteriously ended up on my doorstep. I’d already spent way too much of my time and money trying to return it in the first place so I just kept it. I do occasionally use some of those oils. I don’t think the issue is the quality of the oils themselves, it’s how they are recommended to be used and nearly $200 for a starter kit is a lot of money. As for diffusing around little ones, avoid anything high in menthol or 1,8-cineole. These include peppermint, eucalyptus, and rosemary essential oils as well as any blends, such as Thieves, that contain those oils. Rather than looking for oils to avoid, I look for lists of oils that are safe with kids. There are enough kid safe oils that I don’t feel the need to test out the ones that aren’t on my kid. Plant Therapy has a KidSafe line of essential oils. Whether you buy from them or not, it’s a good place to look for ideas of what oils are safe for kids. Just had to say THANK YOU for this post. There is so much misinformation out there! I have been using essential oils for almost 15 years and what I’ve seen going around on Facebook and Pinterest lately is alarming, especially since it can affect children (despite being well-intentioned advice). I have horrible Epilepsy and a chromosomal abnormalitie called osteo-genesis-imperfecta…I use essential oils asthe icing to the pharmacy keeping me out of a coma and or wheelchair! Lavender …..yes there is a higher being! My mother has used it on/for/with me my whole life which is why I don’t look like shrek today!! Ha-ha….after 12 back fractures that’s an accomplishment! Mostly I hope people are careful with they’re pets!!! My Siberian forest cat has a stressful job…he knows when my seizures are coming.. I use a hydrosol lavender spray for him. The toxic stuff sold at pet stores should be banned…but read everything you can about cats and oils….they’re livers are very sensitive and what dogs can handle CATS CANT!! THANKS….love, light, and health..meg n’ Merlin.. I am new to the EO world. But have got to give you props, you do a lot of research and post great information. Where MLMs go, my sister is a YL rep, she occasionally ingests oils and thinks it’s fine, this mindset I blame on her YL upline. She has never been harmed by EOs but I try to send articles to her from time to time about the potential dangers of it. And I forward many of your blog posts. I am signed up with Ameo, this happened before I began researching deeper into the uses of EOs, started getting educated. I now buy almost all of my oils from non-MLM sources. Some that I found on my own, but a great many that you researched and posted on. Amazingly ( heavy sarcasm for MLM ) I have found with all of them that they seem to be as good as any other EOs, and at far far better prices. Personally I feel ingestion should be avoided unless guided by a trained therapist as you suggest, and hope to one day convince my sister of the same. I love my family and want only the best for them and her. I am already signed up to your newsletter and look forward to many leisure days of educational reading. Your posts about NAN-RMO were the first I ever read from you, VERY enlightening. I have since purchased some from them, and while I like their oils I find their prices to be very hi for a non MLM. One GREAT find is Plant Therapy. WOW!!. Really good prices and responsive to questions and concerns. PT left a good impression right out of the gate. I will be trying others you review in the future. Bless you and thank you for investing so much time in this. You are awesome for sharing all your research. I recently bought a starter pack and was immediately told (by my assigned representative) to diffuse Thieves blend to help my 6 month old through a cold. Thankfully, I looked up the ingredients and learned eucalyptus was a big no-no for a child so young. I am frustrated by the misinformation out there, and infuriated frankly that a large company would prey on moms using their children’s health to make money. Thank you again for this plethora of information. I have been and will continue to be extremely careful in my use of EOs especially around my baby. I hope many moms can be reached and educated through you. Away with the green Kool-Aid!